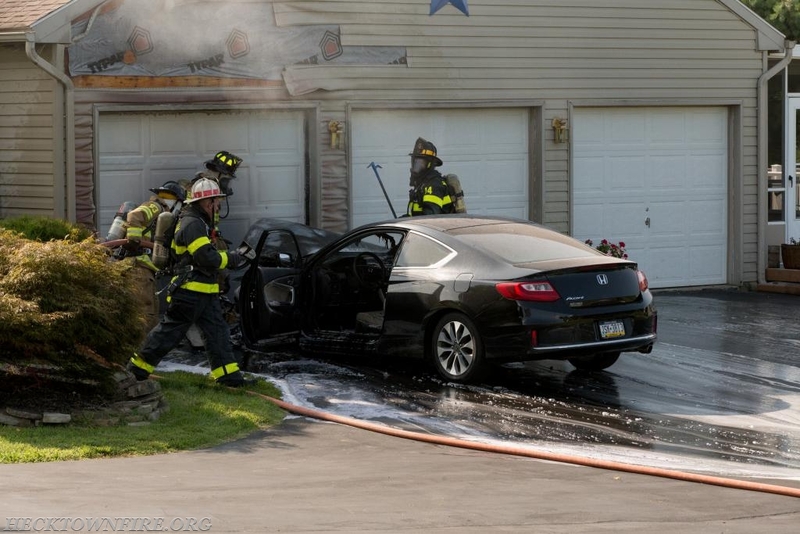 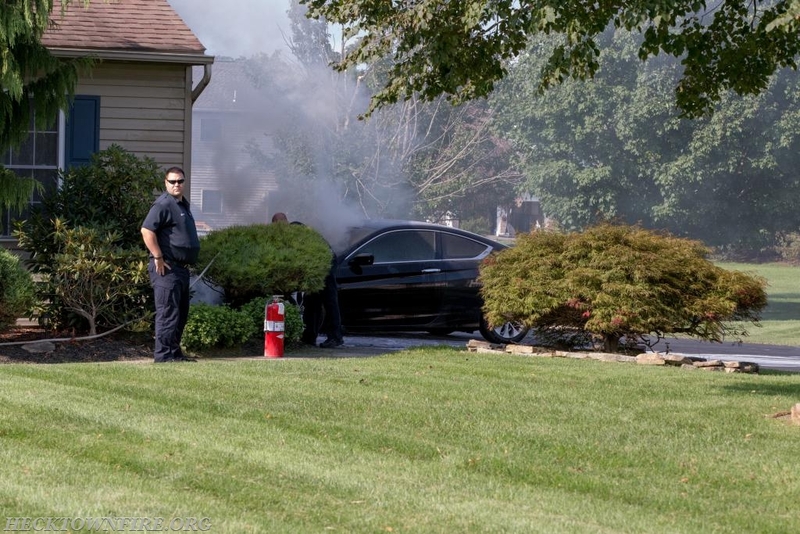 Fire Stations 53 and 14 (Nancy Run) were dispatched to a working vehicle fire with an exposure to a dwelling on Southgate Circle in Lower Nazareth Township at 16:25. 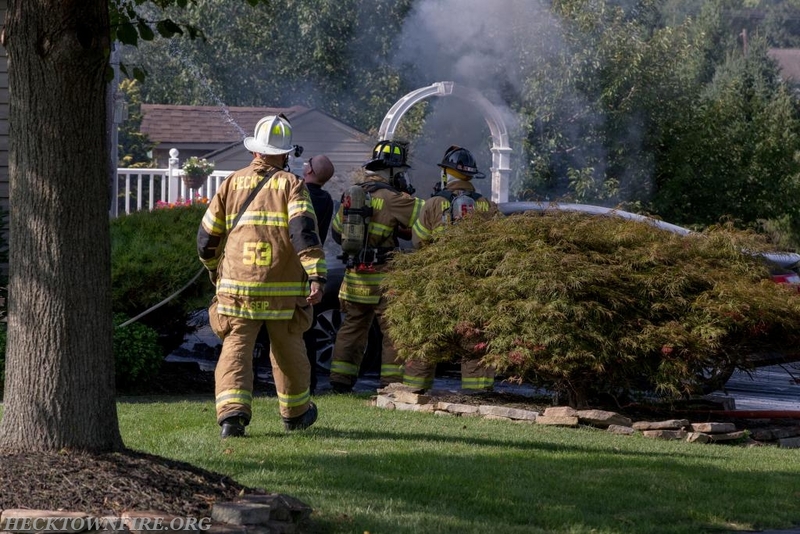 5351 (Chief Seip) responded to the scene and found a working vehicle fire in the driveway with EMS and neighbors holding the fire in check with garden hoses. 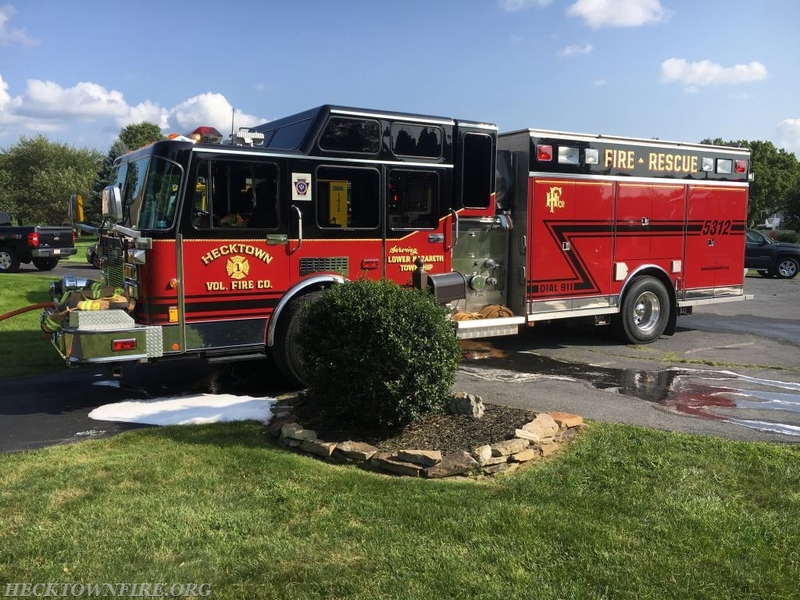 Engine 5312 (Lt Brooks), Tanker 5331 (AC Hinkel), Tower 1421 and Engine 1411 from Nancy Run made the response with crews from 5312 and 1411 extinguishing the fire and checking for extension. 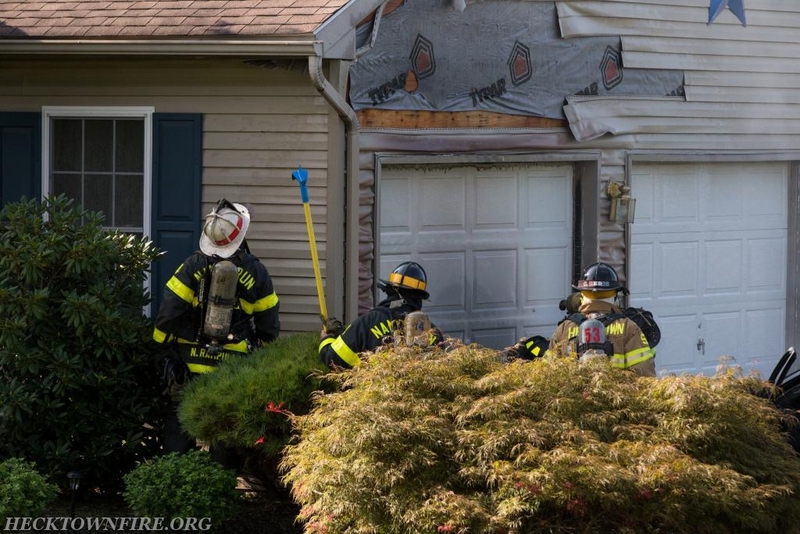 1421's crew assisted with overhaul and ventilation of the dwelling. 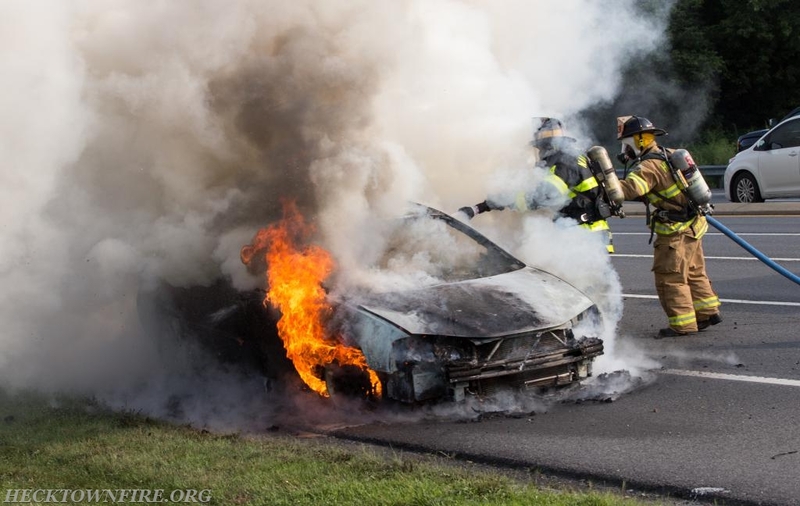 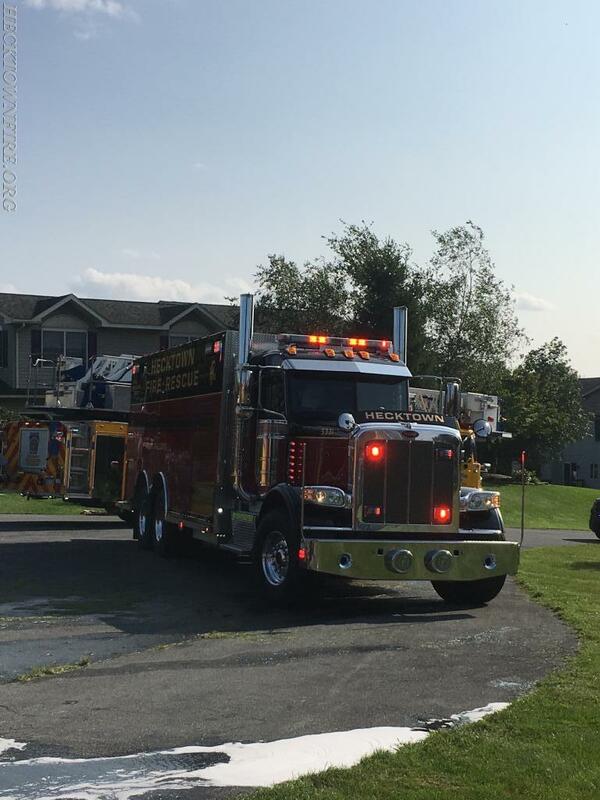 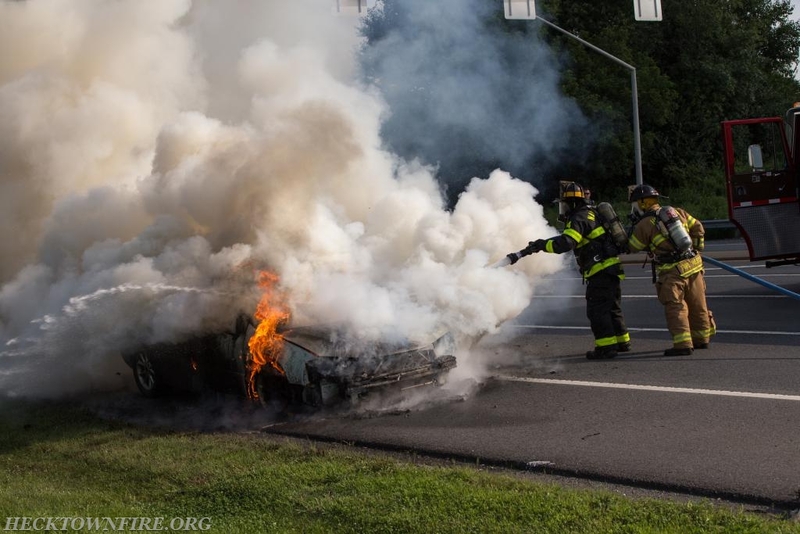 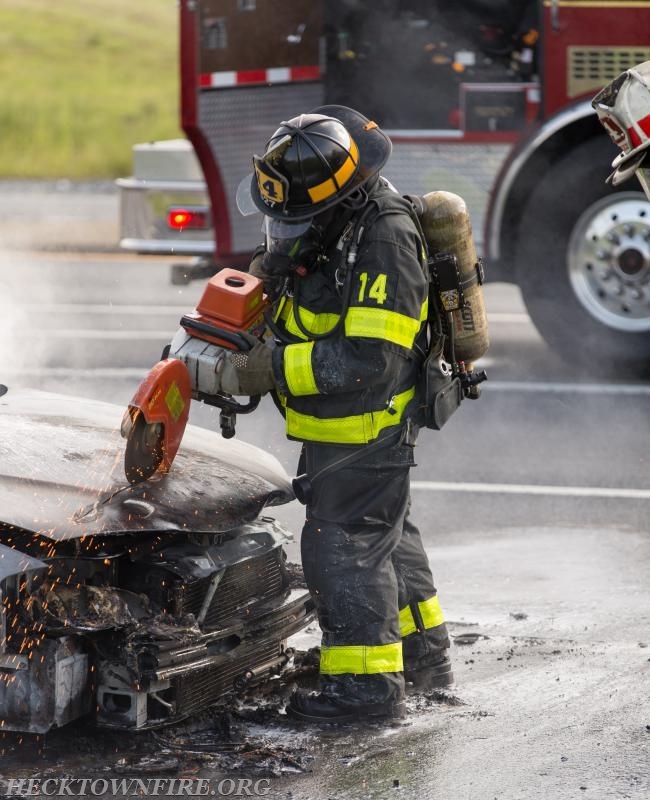 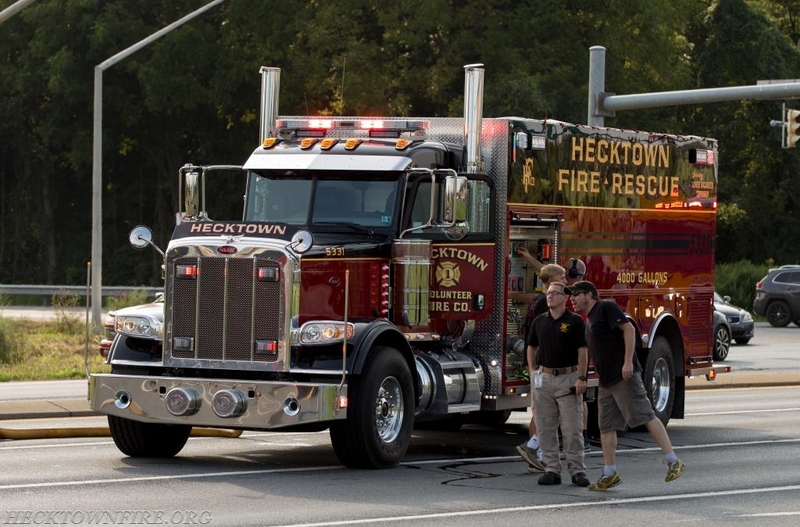 While crews were taking up from this call, an officer from Fire 54 (Upper Nazareth) reported a working vehicle fire on Easton Nazareth Highway in the area of the Route 33 interchange. 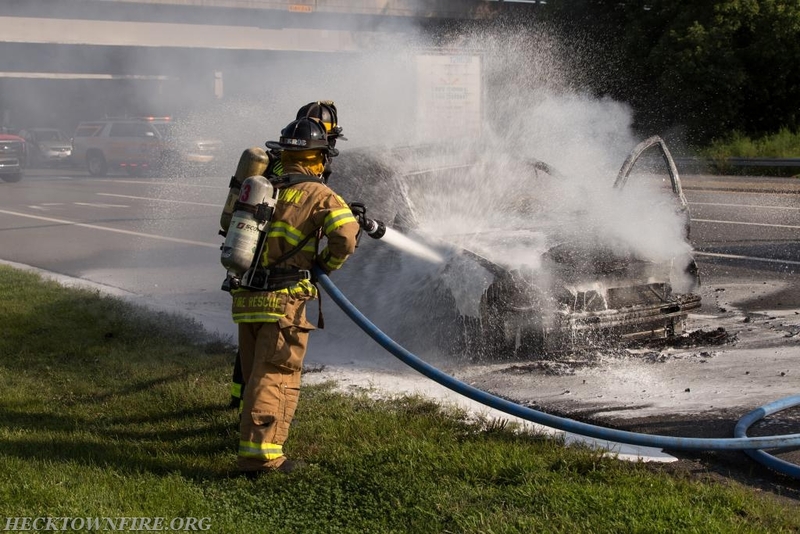 5312, 5331, and 1411 cleared the first incident and responded to the second fire where they found a well-involved vehicle on arrival. 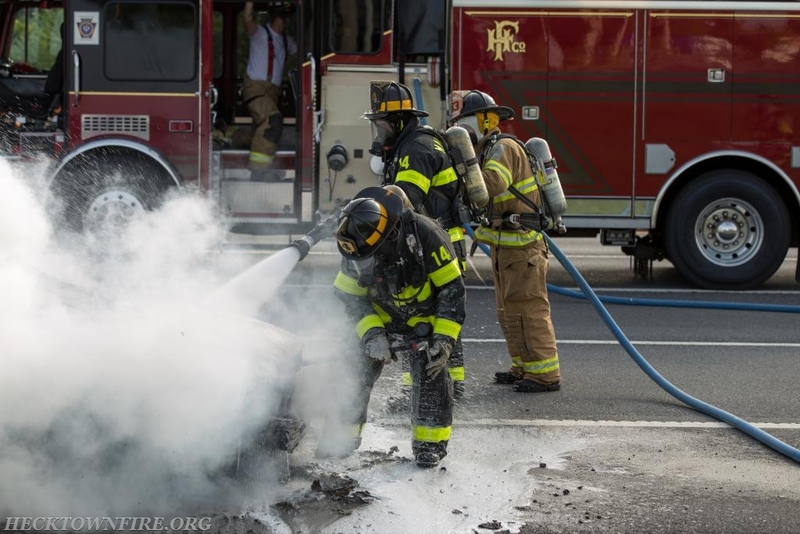 Crews shut down the west bound lanes of Easton Nazareth Highway and extinguished the fire. 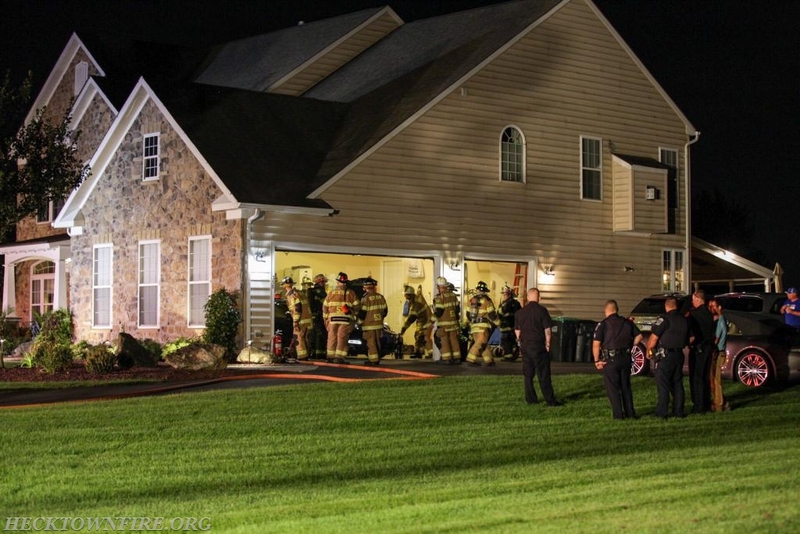 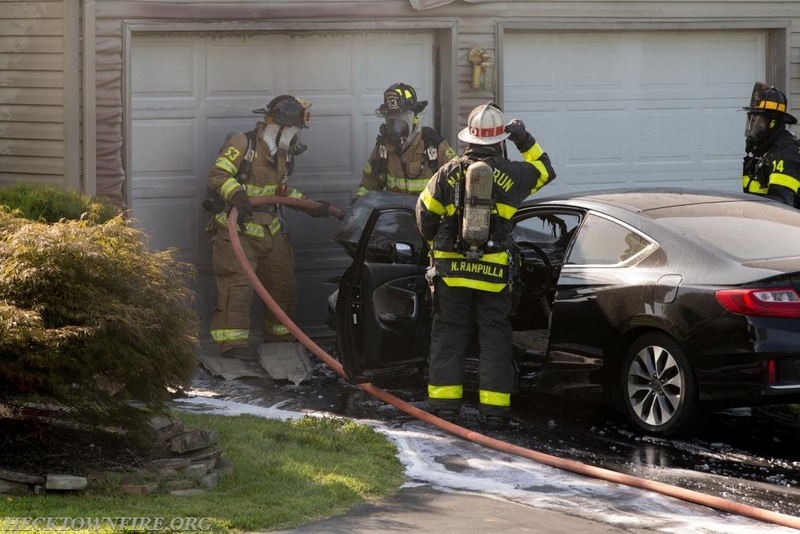 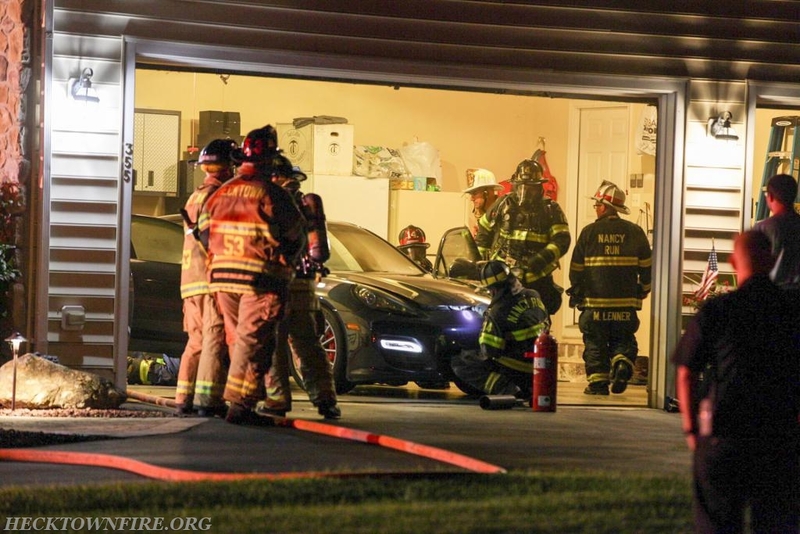 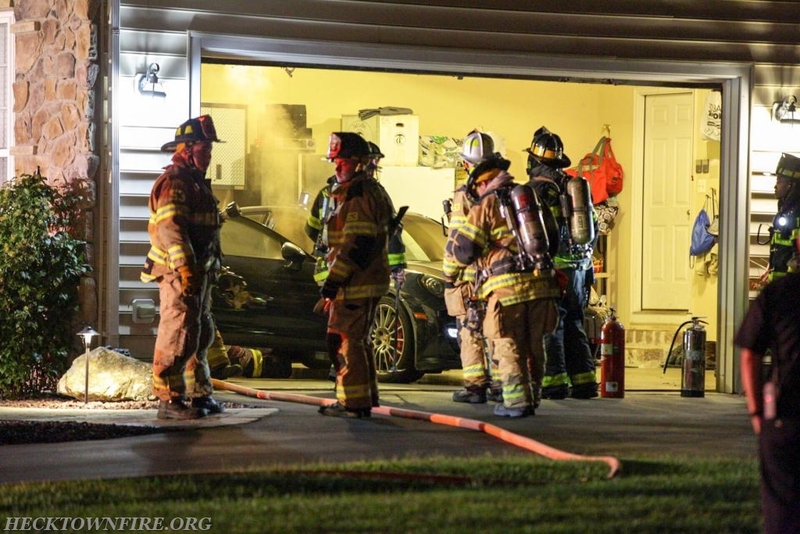 At approximately 20:40 hours Stations 53 and 14 were alerted for a dwelling fire on Truman Lane in Lower Nazareth, with a reported vehicle on fire in the attached garage. 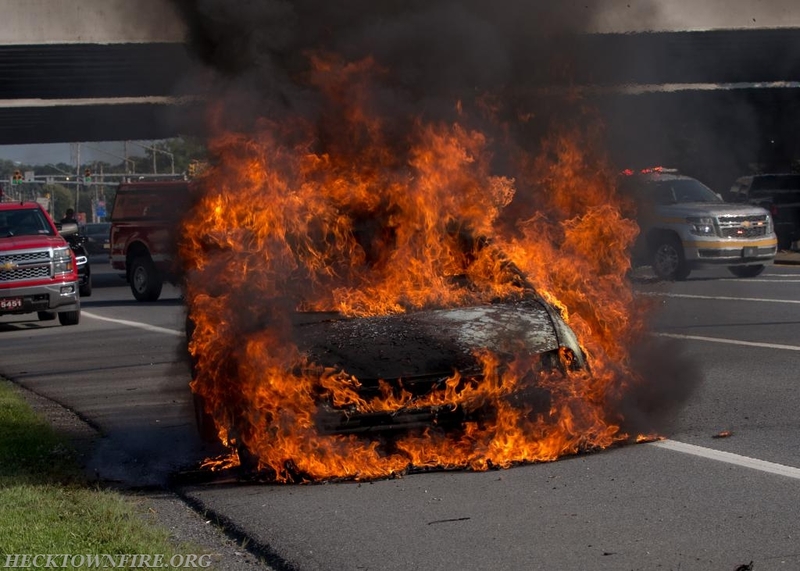 5351 responded to the scene and found a smoldering fire in the passenger compartment of a vehicle. 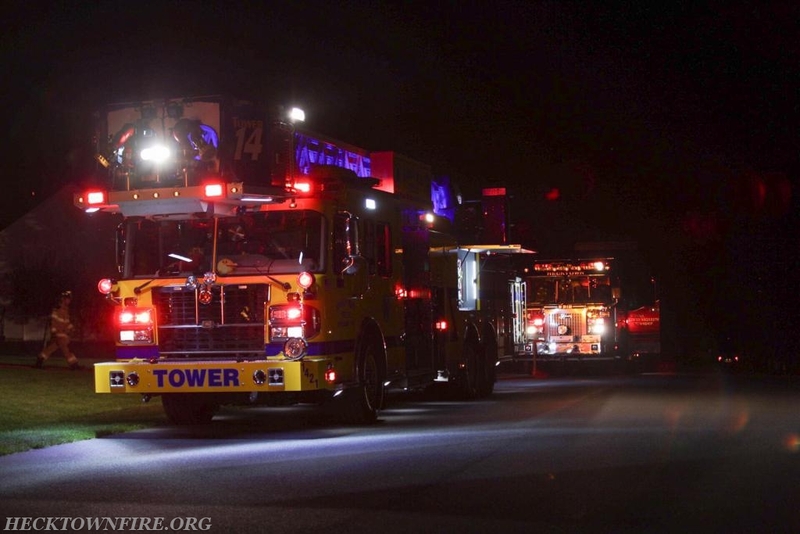 1421, 5312, and 5341 responded and crews extinguished the fire and provided overhaul. 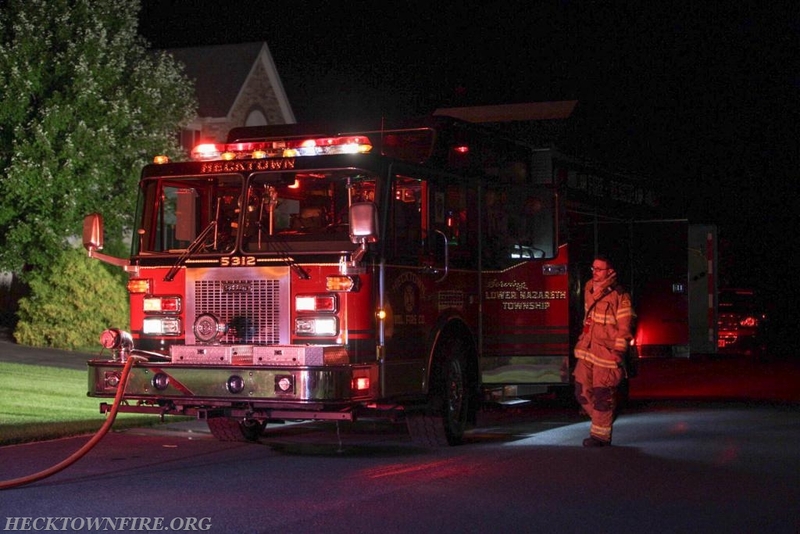 Thanks to Northeast Bravest for providing photos of the incidents.